The Mystery That Is Michael Porter Jr. 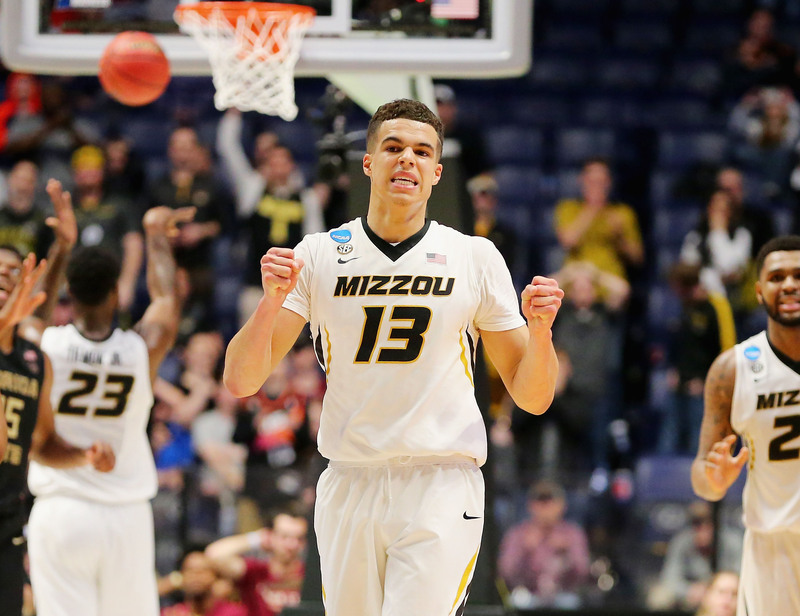 While the book on Michael Porter Jr. remains fairly thin, several conclusions have been made about who was supposed to be. In a converation with the Front Office, the future lottery pick explains who he is and who he wants to be. On a Saturday in early June, less than two weeks before the NBA draft, Michael Porter Jr. spent more minutes draining threes and hamming with Isiah Thomas on NBATV than he had playing basketball in his college career. He was on the court—surrounded by his family, trainer, and representatives from his agency—at a gym in Chicago’s Gold Coast for more than an hour; at the University of Missouri, Porter saw just 53 minutes over the course of a frustrating season. The 6’10”, 215-pound forward is projected as a top pick in Thursday’s NBA draft—and that categorization has applied for years, since Porter was a high school standout first in Missouri and then in Seattle, where he originally committed to play for the University of Washington. A coaching change for the Huskies sent him back to the town where he’d spent most of his childhood to play for Missouri, and Porter, along with new coach Cuonzo Martin, was supposed to be the savior for a program that had fallen off a cliff in recent seasons. Instead, he had surgery on the L3/L4 discs in November after playing just two minutes of collegiate basketball. And that’s it, Porter’s career so far: high school, two minutes, four months off, and then two losses when he improbably returned to play for the Tigers in the SEC tournament and then March Madness. This was not how it was written, not when Porter recommitted, not when his brother, Jontay, reclassified to play for the Tigers last season, not when his father, Michael Sr., took a job on Martin’s staff. This homegrown package deal, dad and two top-25 recruits, was such an easy success story to write. And everyone did. Just look at Porter—a phenom since before he had a driver’s license, a top recruit whose frame can be best described as a pair of legs with the ability to dribble—and try not to imagine what he could do for your team. So there’s that, the story of what Porter was supposed to be, which is now crashing headlong into what he is supposed to be: an NBA lottery pick, a future all-star. He’ll probably be the former, and as for the latter—well, wouldn’t we all love to know? That’s the rub, then. It’s never possible to say who a prospect is, but with Porter, it’s even tougher. As his back has healed and his draft stock has risen, we’ve entered the world of impossible extremes. During the waiting game that was Porter’s season at Missouri, at some point the 19-year-old went from a beloved hometown star to a source of unreasonable agony, and love turned to… something else. It’s a hard sentence to finish, a hard collegiate legacy to parse. Michael Sr., an assistant coach at Missouri, struggles to find the words. Love turns to… “whatever it turns into,” he said that Saturday with a resigned smile. The day before, on June 8 in Chicago, Porter had held a workout for all 30 NBA teams, and the next week, he was scheduled for a second pro day, inviting teams that will pick in the draft’s lottery. After reports of hip issues, that lottery workout was canceled, and teams were invited to a medical examination instead. Then, on Monday, Porter told ESPN Radio that he might workout for teams this week. “I feel good,” he said in the interview. “I got evaluated. I let the doctors come in and do all their tests on me. I'm feeling good. I think the teams are comfortable, but I might get a couple workouts in." Michael Sr. has spent much of the spring traveling between Columbia, Missouri, and Chicago, and he says it’s been gratifying to watch his son get his body right. “I don’t know if anybody in the whole country knows his game better than me,” Michael Sr. says. “He did a great job at his pro day, and he looks awesome—but there’s more there. He’s scratching and clawing, trying to get it all back. But his time on the bench is almost over, and as he gets ready for the draft, one question looms largest: Is Porter’s body right? He says yes; teams want to know more. They will, eventually, but probably not until Summer League, when Porter will get the chance to play actual, (somewhat) meaningful basketball for a reasonable stretch of time—something he hasn’t done since high school. We’ll decide then, probably, who he is, again too soon with the conclusions. He was the savior. He was injured. He wasn’t able to help Missouri win. He’s hurt. He’s the best player in the draft. These superlatives are the worst thing about the mystery that is Porter—because isn’t there a world where he’s still not quite right but also very good, certainly not a bust and definitely not yet the best? Porter said that the most important thing he wants to show teams in the leadup to Thursday is that he’s more than just a talented player. “I work hard,” he explained. “I work hard to keep getting better. I’m not content. A lot of people think that just because I’m a talented kid, I don’t work hard, and I want to show them that I do work hard. The Tigers lost both of those games, and Porter didn’t look like himself, understandably so. Playing in fits and starts like that—four months off, and then eight days between the tournament games—is not any way to establish consistent play, much less on a body still easing back to health. The fact that he even returned is in retrospect shocking; at the time, though, it just seemed like the payoff after a season of when, when, when will he play? Those two games, no matter their results, no matter that Porter went 9-of-29 from the field, should be a statement. They should tell us what Porter insists, that he’s a team player, that he’s tough enough. Instead, they’re overlooked while almost everything else he does and says is analyzed, combed through and distilled into some reason you must love Michael Porter, or you must hate him. On Thursday night, Porter will likely be a top-five pick. After all the speculation, all the fear that if he doesn’t go early, his back might push him out of the lottery, the story will probably pick up on Friday where Porter and his family always imagined it. He’ll be a top pick on his way to Summer League, with the chance to turn what was once love, what’s now that amorphous, frustrating whatever, into a long NBA career.